As a loyalty programme member you will have access to the benefits of our priority service straight away. Plus, when you book direct with us you won’t find a cheaper Avis car anywhere else. A €15 voucher for your next trip after two rentals. A voucher for a free weekend after three rentals. Priority service every time - jump the queue with pre-prepared paperwork and your vehicle at the ready. Keys and paperwork waiting - in some locations, your keys and paperwork will be waiting for you in the car. 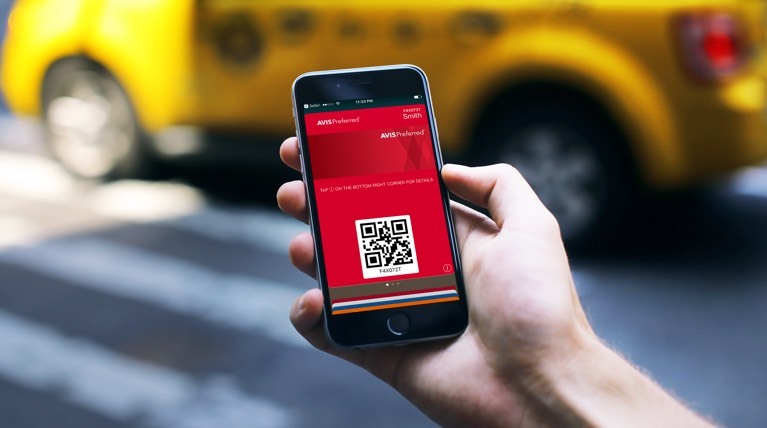 The full Avis App experience - Sign up, download our App and you’re in complete control of your car or van rental. Change or upgrade your rental as you approach a hire location, and choose the exact make and model you want. All at the touch of a button. Self-Serve functionality is switched on at leading Avis locations across Europe, while priority service is available at over 3,000 car hire locations worldwide – and membership is completely free. Book direct on this website making sure you are signed in to your Avis Preferred account. This way we can guarantee you access to the best deals. Rented with us in the last six months? You can retroactively add rentals to your loyalty account. That way you can get to your rewards even quicker. The more rentals you make with Avis Preferred, the more rewarding it gets. With three membership tiers based on your rental history over the last year, there are pleasant surprises in store for everyone – from car upgrades to free weekend getaways. Hire with us five times or more (and spend €1,000) within a year and you’ll automatically qualify for Avis Preferred Plus. This means you’ll receive priority car availability, a free extra driver on every trip and a complimentary vehicle upgrade whenever possible. Hire ten times or more (spending €2,000) within a year to join our highest tier, Avis President’s Club. Along with Avis Preferred and Preferred Plus benefits, you’ll also have guaranteed access to vehicle upgrades at railway stations and airports, and whenever available in downtown locations – and double upgrades at weekends, depending on availability. As an Avis Preferred member you have access to our dedicated Preferred customer services team. The Preferred hotline is available to Avis Preferred members ensuring you have quick access to the best service possible. Money off voucher – received once per new membership after completion of second rental. Upgrade voucher** – received once per new membership after completion of second rental. Weekend voucher* – received once per new membership after completion of third rental. * Fuel, extra services and airport surcharges are not included. ** Subject to availability. Not eligible for vans, luxury, Select Series and Prestige cars, and rentals longer than 14 days. *** Guaranteed upgrade at airport and railway stations. At downtown locations upon availability. 1. Have your driving license and payment card to hand. Whether you book online, on-app or by phone, entering your details now means you don’t have to do it again in future. 2. Sign up online. Our online sign up process takes just a couple of minutes and makes all future rentals quicker and easier than ever before. 3. Then, when you’re ready to make a booking with us, simply sign in online or quote your customer number over the phone. You can start to enjoy the benefits of our priority service on your next rental. Once logged in to Avis Preferred, you can track your progress up the loyalty tiers (in terms of both number of rentals and total spend), submit any missing rentals to the programme or just ask us about any questions or concerns you may have. This is your place to view statements, check booking history, amend your contact details and rental preferences, and update credit card information. €100 ‘loyalty value’ bonus - rent within the first 60 days of your membership to receive a bonus taking you closer to the next membership tier. This value will be credited within five days of the rental car being returned to us; at which point, it can be viewed in your online account. This bonus only applies to new members. Avis Preferred members must make their reservation at least four hours in advance. Please ensure that your Avis Preferred profile is up to date (including an email address). Free weekend rentals are valid in the countries specified on your e-voucher for a three-day rental for a small to mid-size car. This includes fees, mandatory cover and taxes. Fuel, extra services and airport surcharges are not included. Single car upgrades are subject to availability for Avis Preferred Plus members. Double upgrades for Avis President's Club members are also subject to availability. Avis President's Club members' single upgrades are guaranteed at airport and railway stations at countries where Loyalty lives (see above) and at city-centre locations upon availability. Upgrades are not eligible with vans, Avis Select Series vehicles, Luxury or Prestige cars, chauffeur-driven services, Safari rental or rentals of over 14 days in duration. Avis President’s Club members can bank on getting guaranteed cars on demand with bookings made at least 48 hours in advance. Corporate customers: your travel policy or corporate agreement may exclude you from upgrading to the higher tiers of the programme – check with your account manager – but you should still sign up to enjoy the Avis Preferred speed of service. Partnership customers: your travel policy or partnership agreement may exclude upgrades and free rentals – sign up to enjoy the Avis Preferred speed of service. To complete your Avis Preferred application, you just need your driving licence and payment card – and you must comply with the country’s booking terms and conditions. Avis Preferred loyalty tier spend can be accrued when hiring standard fleet, Avis Select Series and, in certain countries, Avis Prestige vehicles. Loyalty tier spend can also be accrued when renting Vans, Luxury cars and chauffeur-driven services in South Africa.